We closed early last Thursday for a staff “training”. The venue and concept pushed the envelope for barista training. But as far as Tazza D’Oro is concerned this training ranked in the rad category…beer tasting at East End Brewing (check out the pics)! 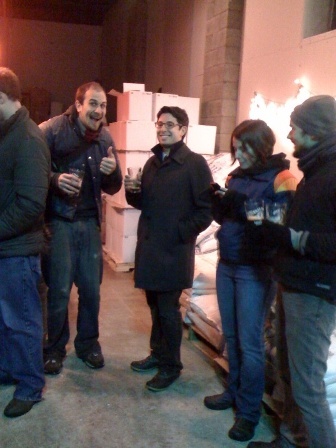 Scott Smith, owner of East End Brewery, closed his chilly, rad, beer brewing palace for a private tour and beer tasting for Tazza D’Oro baristas and a few friends – not to drop names but Rich, Belle and Frank from Aldo’s! The goal of the night was to hang with another small business owner who is passionate about his craft, works day and night to tweak, tweak and tweak to deliver incredible quality. Scott gets that being one of the” best” encompasses more than being a great beer master, but having his skill and craft accessible to customers, caring about sustainability, purchasing local and purchasing quality and being a leader in his community – industry and neighborhood. I think we all learned how amazingly similar the micro-brewery business and the coffee brewing business have shared the same paths and continue to do so. 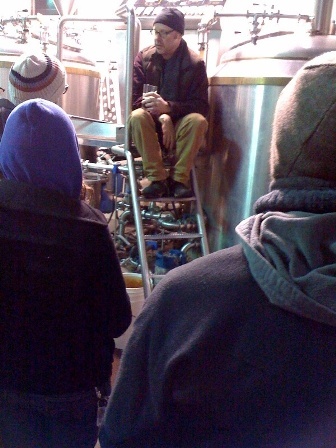 Scott spent a considerable amount of time talking about his craft, answering our questions and giving us a tour of a small, cramped incredibly chilly, comfy, romantic brewery! 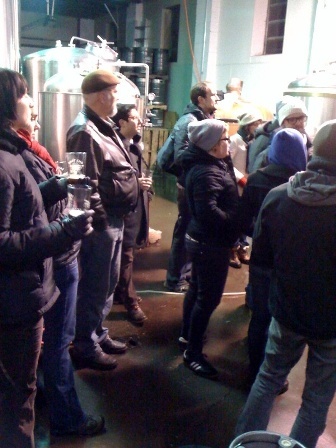 We tasted the freshly brewed beers as we listened and walked. Snow Melt, Monkey Boy, Fat Gary, Bitter End, Along Came a Cider…they all sound like great fiction, poems or nick names but they are names of some amazing beers we tasted. 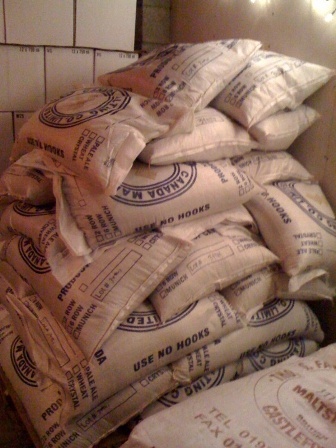 We moved to the 2nd floor – whoa, – malt, hops, beautiful bottles, strange equipment, dangling lights and an old bar. It felt like the heart and passion of the place – where all the creativity comes to life as the recipes fill the brewing tanks each day. 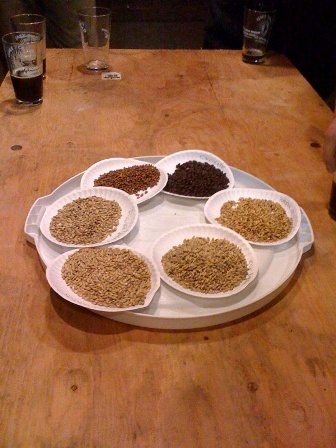 We got to crunch on different malts and hops. Our taste buds were going wild and we had more beer to wash it all down. Yea, we definitly expanded our palates, but we also expanded our experience of what it takes to be one of the best. Scott, you are one rad guy and an inspiration! Thank you. 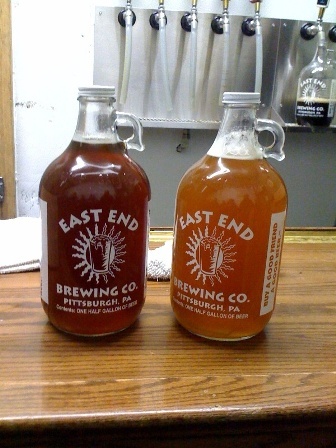 Now, for the rest of you get over to East End Brewing and pick up a growler! Amy, Can't thank you enough for inviting us to join you on this field trip and for the growlers. 'Twas fun and educational (and delicious). And it's almost time to head back up there for refills! Oh man, now I'm really thirsty ... and it reminds me that my fridge needs a full growler in it STAT!